Pixar, Inside Out: What’s it like to work with Pete Doctor? What’s It Like to Work With Pixar Director Pete Docter? 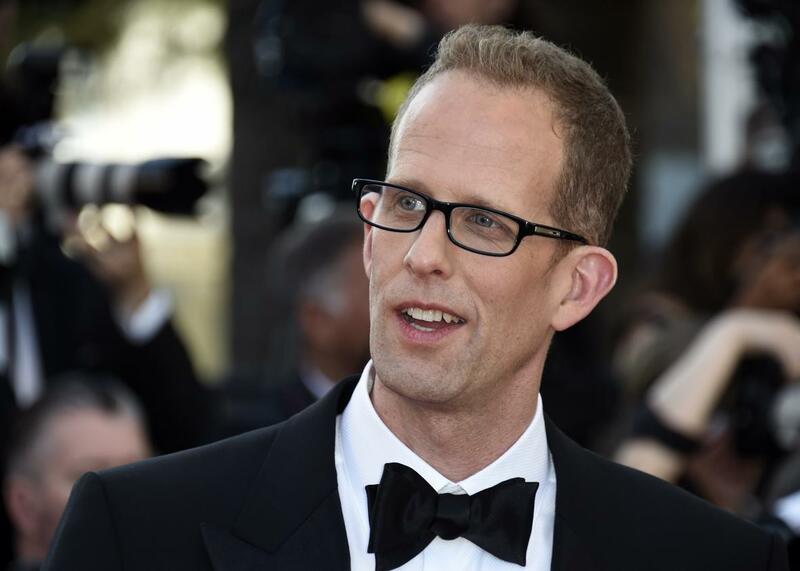 Pete Docter arrives for the screening of Inside Out at the Cannes Film Festival in Cannes, France, on May 18, 2015. Pete is a prince among men. I worked with him from the very start of his animation career all the way through Monsters Inc. He joined Pixar right out of school (I mean the day after) as the world’s tallest animator. He made all of his own clothes. He baked. He wrote music. His story skills were already head and shoulders (pun intended) above his peers. As a supervising animator on Toy Story, he was always a calm and creative guy. He managed to break one of the “rules” of CG animation, the one that says you never put a character into a full hold, in a shot of Woody in Sid’s bedroom. That blew John Lasseter, who wrote the rule, away. It was Pete who realized, just before the movie came out, that we didn’t have a company logo. So he dashed into his office, built and animated the Luxo Jr. lamp hopping on the Pixar logo. In fact, it was so last-minute and unofficial that the animation became lost. A few years ago, another animator had to reanimate it so it could be rendered for new movies. Woody: Hey, Buzz! You’re flying! Buzz: Technically it’s called gliding, but let’s not spoil the moment. I remember John slapping himself in the forehead and immediately calling for a dubbing session with Tim Allen. Oh, by the way, Pete also did all of Buzz Lightyear’s scratch dialogue (Andrew Stanton did Woody), so he recorded the line for the animator to work on before Tim could be hauled back into a studio. Generous? Incredibly. I asked if I could buy a cell from his student short, Next Door. He said, “Oh, I’ll just give you one. Which one do you want?” I picked a frame from my favorite moment (also a character hold, now that I think of it). He brought it in the next day—with the background. “I figured you might as well have it,” he said. He knows his craft and its history inside and out. He can quote Chuck Jones gags chapter and verse. (Note the nod to Feed the Kitty in Monsters Inc.) He even managed to animate the last shot of Monsters Inc. where Sully says, “Boo?” And nailed it. As a director, he’s a dream. If you haven’t been one or been close to one, trust me: You have no idea how much pressure a Pixar director is under. He has to make creative decisions all day long for a hungry and demanding crew that peaks around 250 people. I never once saw Pete angry. Or flustered. Or even a little miffed. He’s the only director there I can say that of. Monsters Inc. was a very difficult show. There were major story changes, enough that production had to be halted at a very expensive point. Pixar moved from Point Richmond, California, to Emeryville, California, in the middle of production. Sept. 11 happened while we were making that movie, forcing yet more last-minute changes. (Having the sushi restaurant go up in a ball of flames was suddenly not funny.) Pete was a mellow rock through the whole thing. He’s clear about what he wants, open to ideas, and has a heart the size of Minnesota. He’s definitely one of the people I miss most from Pixar. I would have loved to have been on Inside Out. What audiences are seeing there is very much Pete. After the success of Up, it’s clear to me that he was given more creative control. The movie is Pete. Watch it and you’ll know the guy’s soul, even if you never meet him. Pixar movies: What is “the Pixar Theory”? Inside Out: How realistic is the psychology behind Inside Out? Pixar company: What are the duties of a director at Pixar?